To Prepare, implement and Supply Chain Management procedure within the company in order to provide efficient and effective/good practice to the Supply Chain Management that meet Company’s goals in accordance to procedures, business ethics and Health, Safety, and Environmental (HSE). Source and gather quotes from vendors / suppliers in order to obtain best price as per required quality and schedule in accordance with company’s policies and procedures. Expedite the order process, check the inventory stock (if applicable), prepare the procurement status report and process Material Requisition in order to provide excellence procurement service for the requester. Analysing previous annual spent to be bottom line for spending this year and How to get saving cost annual target. Prepare and develop Vendor Management Database in SAP and spreadsheet to register all procurement transaction by Vendor name; type of services; rental rate/purchase rate in order to support preparation for Petrosea Proposal Tender. Prepare and assist its superior during the formation of various Agreements, drafting if contract terms & conditions including particular qualification/s, attachments & annexures; to assure its compliance as per Company’s contracting principles. Monitoring Procurement Contract process since Pre-Contractual, Contractual up to Post Contractual of kind of services. Resolve contractual issues with Subcontractors/Vendors including drafting formal letters and attending negotiations of a contractual nature in order to provide logistical support to Project Manager. Min. Bachelor degree in Engineering major. Min. 1 years experiences in Procurement area or fresh graduate are welcome to apply. Good knowledge of quality the materials according to international standard specifications. Excellent computer skill in Microsoft environment and other related applications. Time manageable and target oriented. Good behaviour, open, honest, and proactive person. Willing to work beyond office hours as and when required. Able to maintain and uphold work and business ethics. To ensure the importation process of goods and equipment of Petrosea can run properly without delay. Responsible to organize the transportation / shipping of the imported materials / goods. Prepare and arrange the import / shipping document base on customs law such as proforma invoice, packing list, Bill of Lading/ AWB. Request the Goods Received Report (GRR) from the requisitioner once the materials/goods are received on site. Prepare cost allocation of freight’s invoices for approval from relevant managers and Liaise with accounting department to process any invoices forwarders and monitor the payment to ensure all invoices are validated and paid in timely manner. Responsible for preparing & completing of the import document for purposes of regular customs audit. Handling filing system and confidential files as necessary for purposes of customs audit. Min. Diploma degree in any major. Able to develop and maintain good relationship with Customs. Willing to work extended hours to meet deadlines. Please send detailed resume including recent photograph, to show your interest for this position, and quoting in email to recruitment.jakarta@petrosea.com in Microsoft Word or PDF format with a file size not more than 350kb, not later than 30 June 2017. 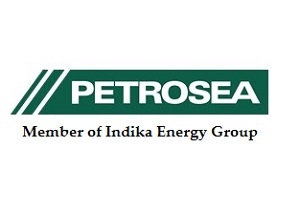 Thanks for reading PT Petrosea Tbk Jobs: Procurement Engineer & Export Import Officer. Please share...!